Plan A provides basic coverage for hospitalization, medical expenses and hospice care. Plan B includes the same basic benefits, plus coverage for your part A deductible. Plan C offers more coverage than plans A & B. In addition to hospitalization, medical expenses and hospice care, plus coverage for the Part A and Part B deductibles, Plan C covers skilled nursing care and emergency care abroad. Plan F offers the basic benefits, plus coverage for both the Part A and Part B deductibles, skilled nursing care abroad, and 100% of the Part B excess charges (the difference between what a doctor or provider charges and the amount Medicare will pay up to Medicare’s limiting amount). Plan F also has a high-deductible option that can lower your premiums. 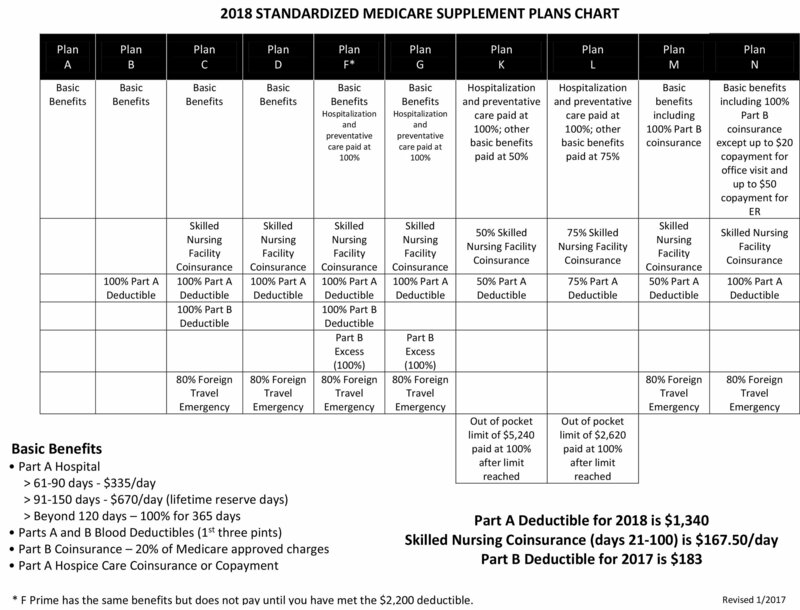 Plan G includes basic benefits, plus coverage for the Part A deductible, skilled nursing care, emergency care abroad, and 100% of the Part B excess charges (charges above what Medicare pays) and emergency care abroad. These lower premium policies cover a range of basic benefits and medical costs, including the Part A deductible, skilled nursing care, doctor’s services and hospital care. The plan pays a percentage of your costs and then you are responsible for a portion. Each plan has an out-of-pocket maximum, which limits the amount you will have to pay each year. Plan N offers thesame basic benefits. It includes an office copayment of up to $20 and an emergency room copayment of up to $50. The plan also covers costs for the Part A deductible, skilled nursing care and emergency care abroad.